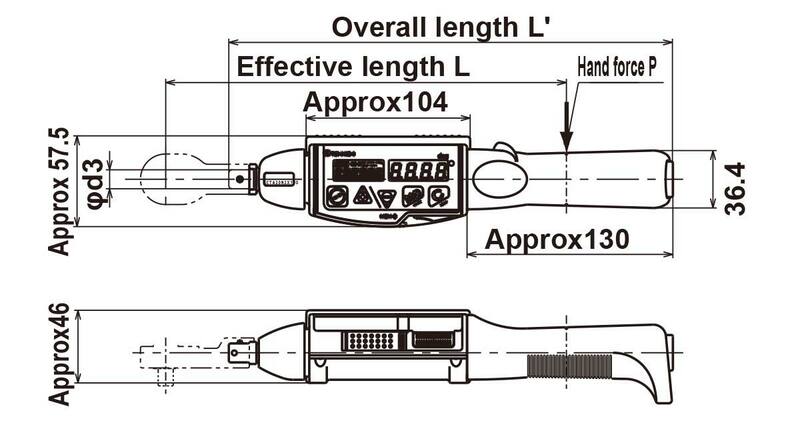 Digital angle torque wrench with snug and angle setting functions for production use. Bluetooth®-equipped versions also available. Add-BT to model name: CTA2-G-BT. Allows for wireless transmission of collected data. Applicable in angle-controlled bolt tightening in small lot production for maintenance and after-sales service, or back up for angle-tightening nut runners. Designed for angle tightening in sequence for flange-shape bolt arrangement (e.g. cylinder head). Includes software for data management through PC. As tightening passes the snug torque, the values on the display switch to angle values. Upon reaching the set angle, the buzzer goes off and LED turns on to signal completion. Compliant with calibration procedures of ISO 6789 Type I Class C.
Tohnichi's interchangeable head torque wrenches can be used with our interchangeable head lineup, making these wrenches ideal for your a variety of work scenarios. Compatible also with custom-modified Bluetooth®-equipped CTA2-BT / CTA2-G-BT. DATA MEMORY 999 data (Tightening Torque,1st angle value, 2nd angle value, 3rd angle value and fi nal torque value) OTHER FUNCTIONS Snug torque / tightening torque max tightening torque / 1st, 2nd, 3rd angle 1st, 2nd, 3rd max angle number of bolts auto reset / judgment. Setting thru PC. The values in ( ) indicate minimum snug torque values. Accuracy cannot be guaranteed for snug torque set under the operative torque range. Overall length does not include interchangeable head. PH (Pipe wrench head) type interchangeable head is not available for this model. Battery Pack (BP-5), QH interchangeable heads, Quick battery charger (BP-3-G), Application PC software, Connecting cable (584).